We’re kicking off the new year with a winter vegetable that has gained major popularity in recent years! 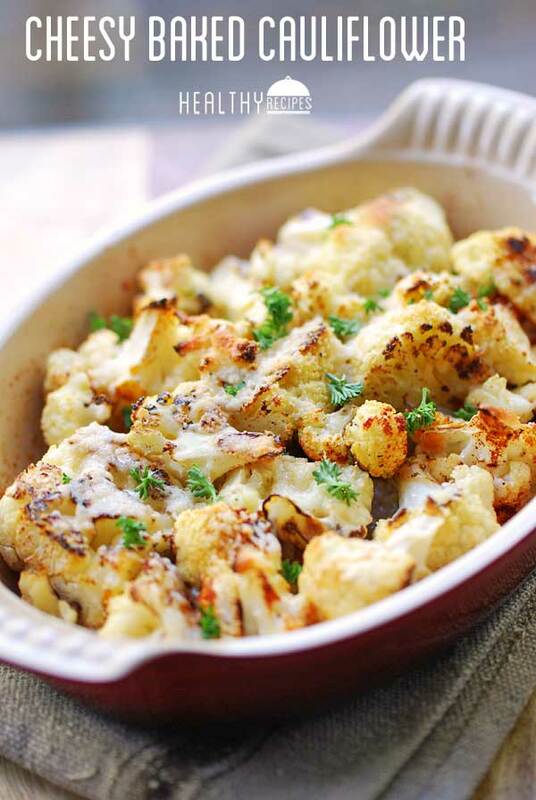 Did you know cauliflower was in season in the winter? I didn’t! It’s always in such high demand all year around! 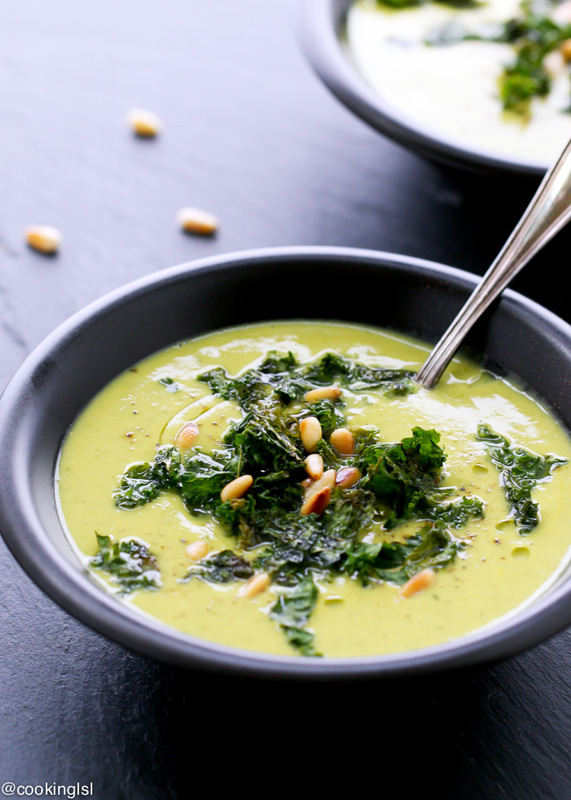 Here are some more facts you may or may not have known about the most popular cruciferous! 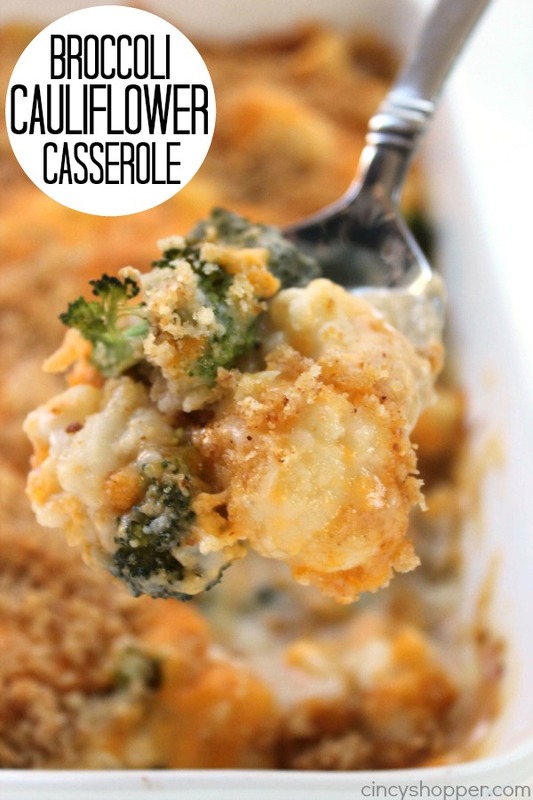 That two to three servings a week will be no problem at all once you see all of the mouthwatering recipes I rounded up for you! I LOVE cauliflower! I never think to buy it at the store but any time I see someone else eat it, I get super jealous! It’s just so good! 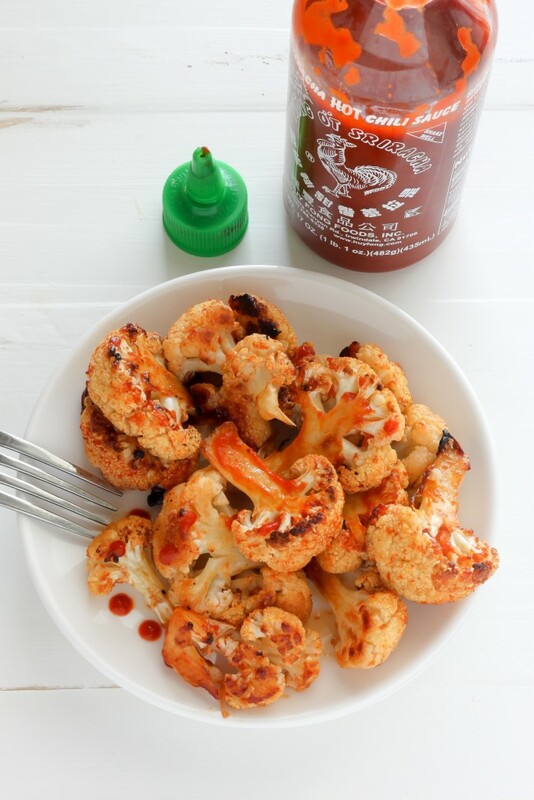 Cauliflower might be one of my favorite vegetables for sure! 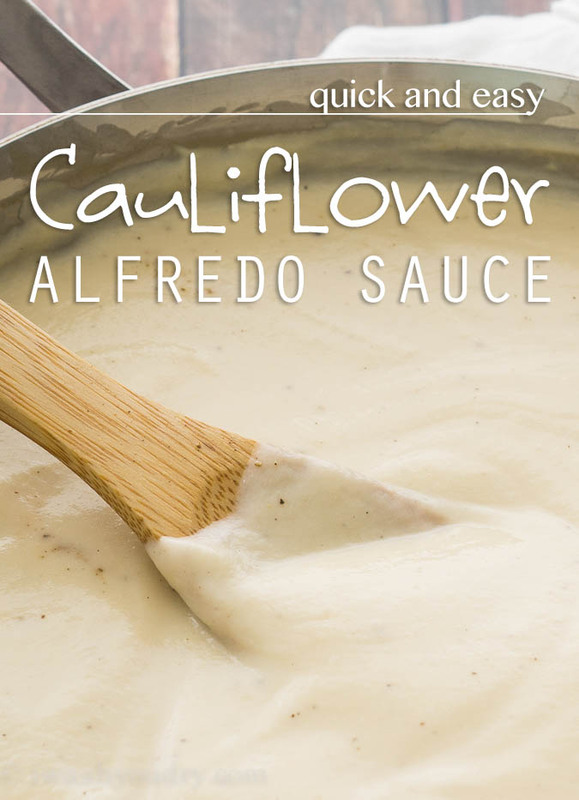 I love it in sauces, as rice, raw for dip, literally any time I can get my hands on it! It’s so versatile and packed of nutrients! cauliflower costs $9.99 a head in parts of Canada this week. It is not in my fridge, we can’t afford it. It isn’t in season all year in northern climates, we are buying winter root vegetables. Root veg are in season here where it is 15 below Celsius. Agreed! I have never thought of cauliflower as a winter vegetable. It’s really expensive in my grocery store as well, when root vegetables are much, much cheaper. I LOVE cauliflower, but it’s hard to justify the $5.00 for a head of cauliflower when I can get a 10 lb bag of potatoes for $1.99. 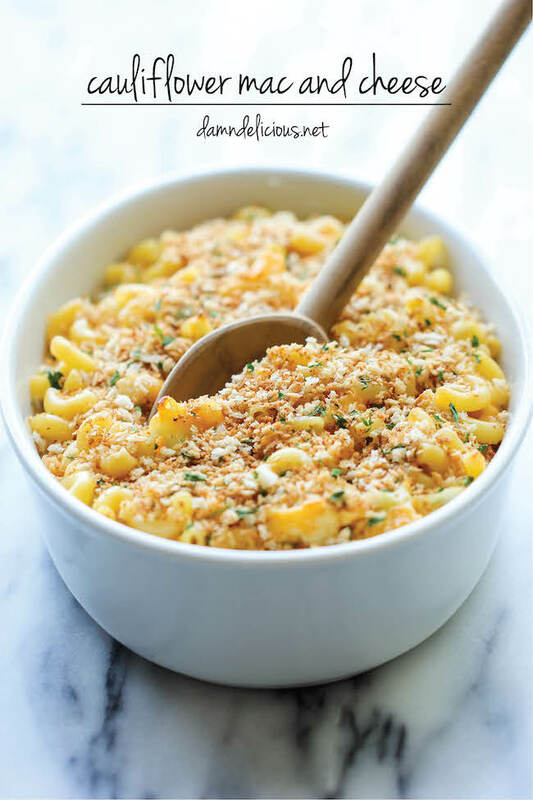 I’ll definitely save some of these recipes for summer/fall though! Found a big ol’ head at Trader Joe’s today for $2.29 today! I read this when you posted it and agreed that cauliflower is usually so dang expensive. Glad I found this! 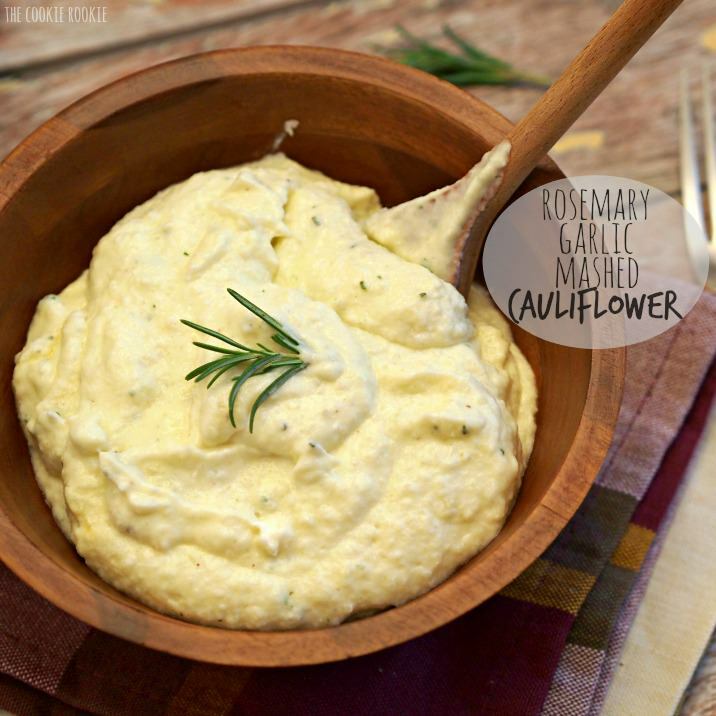 I’ve been obsessed with mashed cauliflower lately! 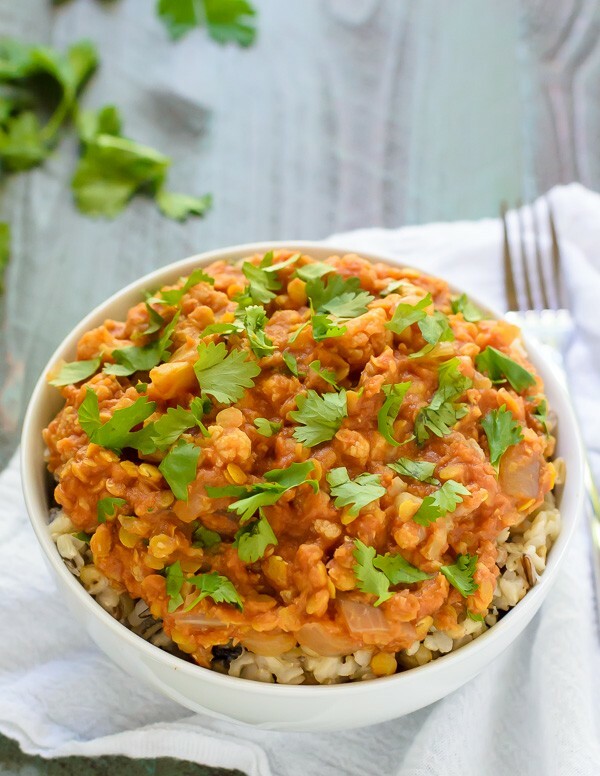 It’s so simple to make, healthy, and I love it! I really don’t wat enough cauliflower. I love it but for some reason I just never buy it. 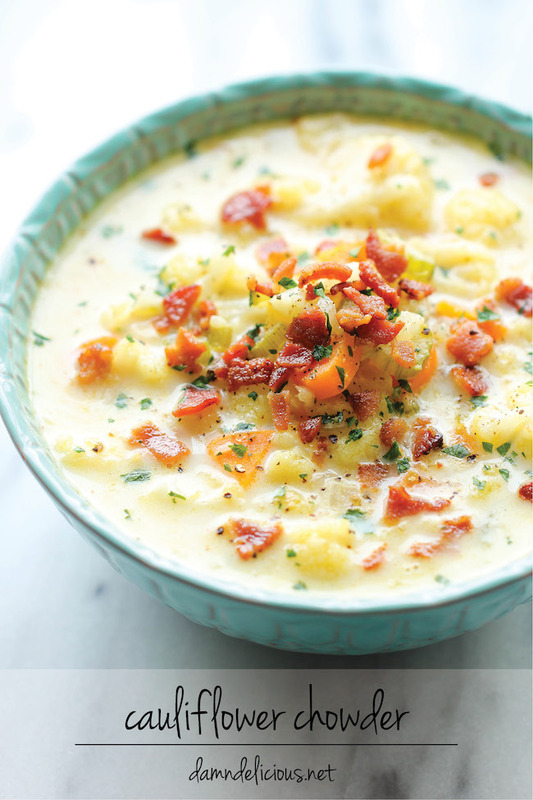 However, these recipes look delicious so now I have no excuse not to go buy a cauliflower! 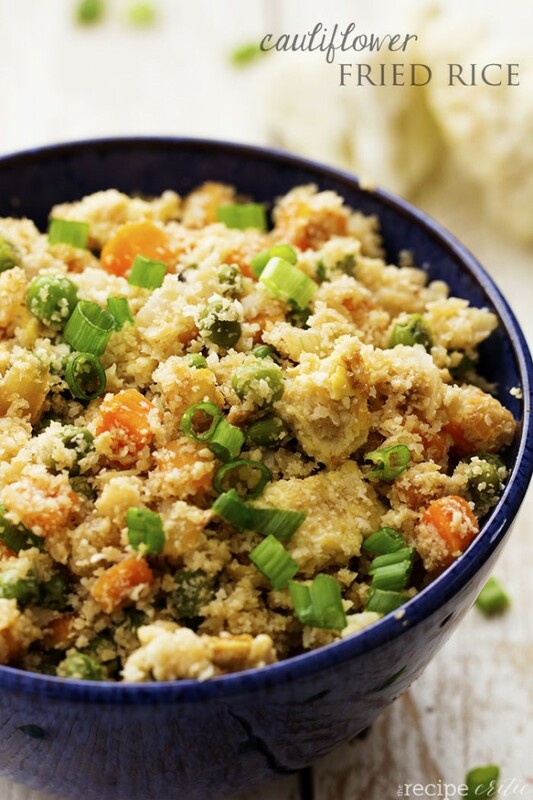 Cauliflower rice just change my life, really. I made EVERYTHING with it. 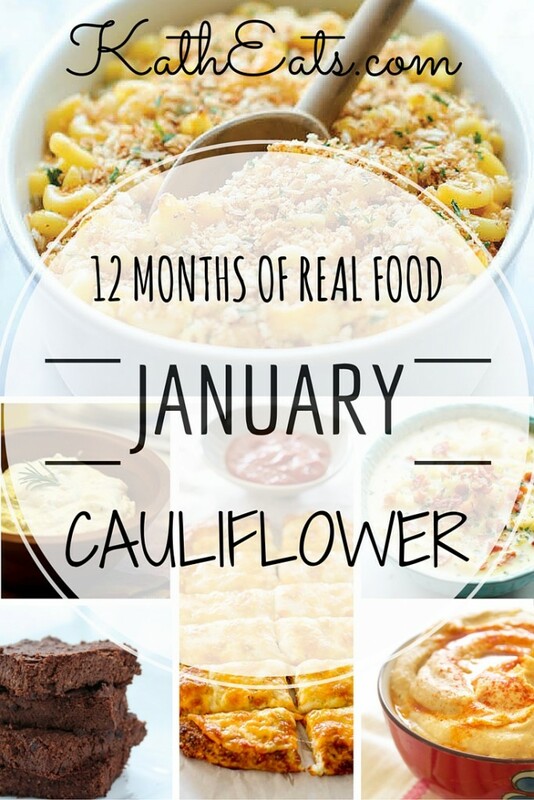 I LOVE cauliflower, and these recipes look great! One question- why is the recommended serving size 1.5 cups? That seems like a lot! Do you not get enough vitamins from cauliflower with a smaller amount? Thanks for including my recipe! I’m impressed with the selection, can’t wait to try the other recipes! There are so many recipes here. 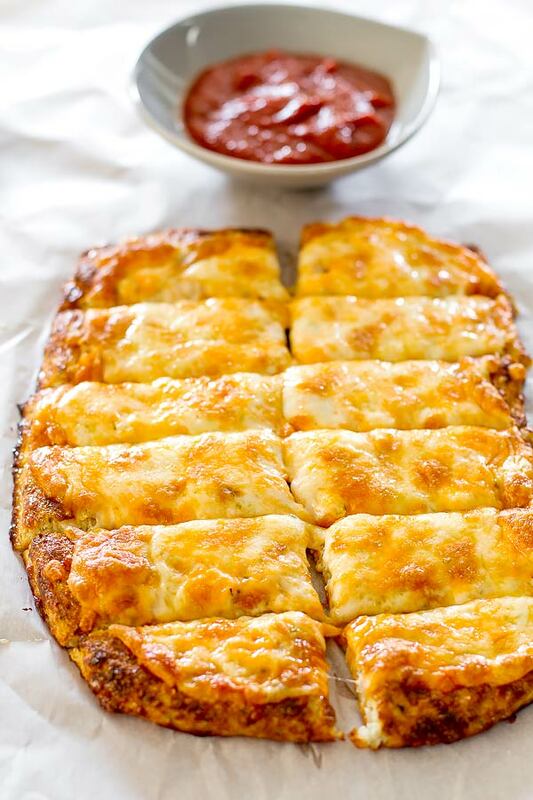 Who knew you could do some much with cauliflower? I love cauliflower, but a fresh head is $6.99 here right now. Frozen is a bit cheaper, bit I find it doesn’t taste as good! I LOVE cauliflower, but my husband isn’t a fan. However, I made Smitten Kitchen’s Parsnip Purée with half cauliflower and we both thought it was amazing. I could have eaten all of it in one sitting, and I’m sure it wouldn’t have been too bad for me, either! 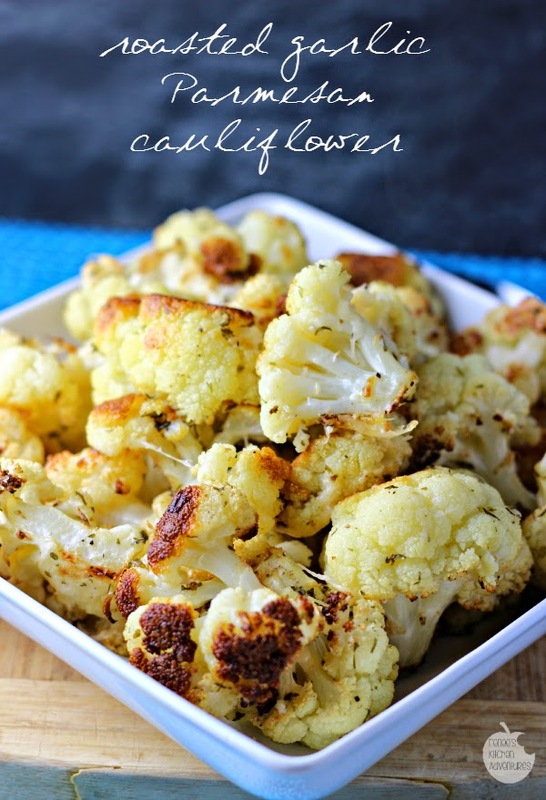 Cauliflower is one of my favorite veggies because it is so versatile and delicious and nutritious, of course! 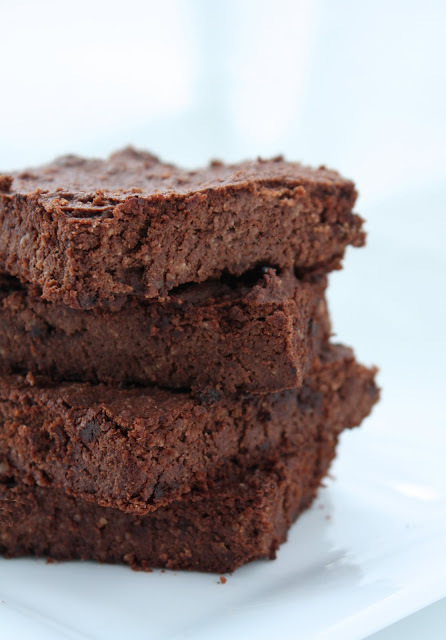 I LOVE all of these recipes, especially the brownies! Mmmm – I love cauliflower! 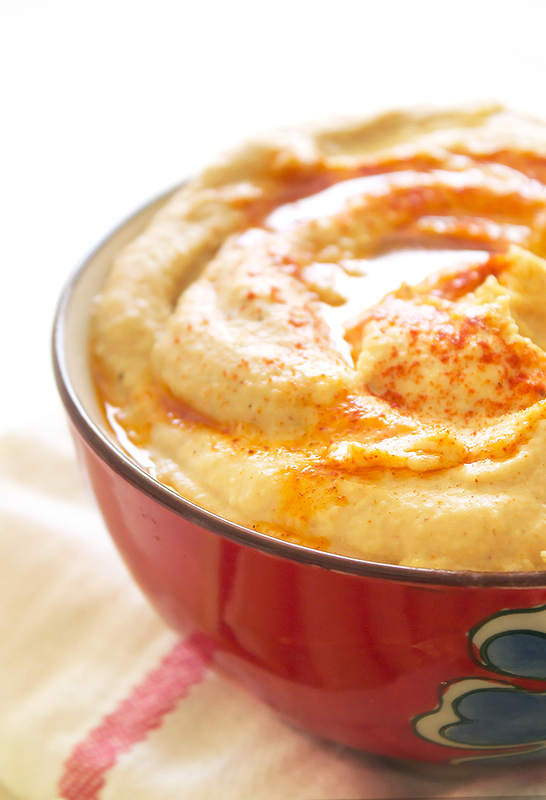 My favorite way to eat it is roasted with chick peas then tossed with a little buffalo wing sauce and blue cheese crumbles!